Coating and surface finishing treatments have been around for a long time. These treatments help improve the performance of metal parts in harsh working environments, and are performed through automated device such as powder coating ovens. Today, the powder curing ovens are gaining popularity due to several advantages they offer. By looking at various ovens, it can be confirmed that not all ovens are created the same. In this post, we will discuss factors that will simplify your search, and help you make a right buying decision. Basic Questions: What products you are going to powder coat? 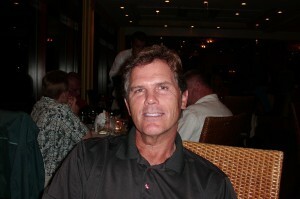 Who are your targeted customers? How many parts do you wish to complete in a day? What types of colors will you use? What is the maximum length and breadth of pieces to be powder coated? Answering these questions will help you get an idea about your requirement. Size of the Oven Needed: Your productivity will be determined by the size of oven you purchase. However, a small oven may help you save money, it may limit your productivity as well. Hence, after identifying your target market, it is very important to concentrate on the size of the oven. Technologies: The powder coating ovens are available in conventional and infrared technologies. The infrared ovens are electric or gas infrared driven. Hence, while selecting the right oven you need to consider benefits of each type. For an appropriate judgement, you can always talk to the powder coating furnace supplier or manufacturer to learn about benefits of their product. Air Velocities Strength: If you have decided to buy a conventional oven, ensure that air velocities aren’t very strong. This is because the extremely strong velocities will blow powder off parts, and make them touch each other while stored. 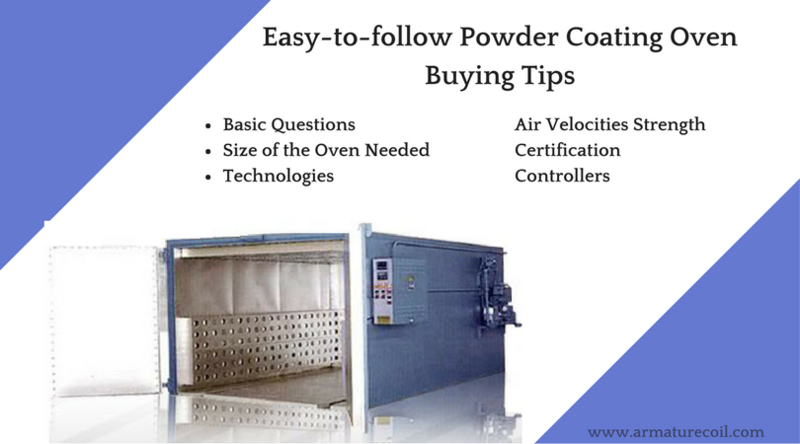 It is always recommended to select powder curing ovens with maximum velocity- 3m/s. Certification: This aspect ensures that the powder coating oven you wish to purchase is of certain required quality. Most ovens sold in the US are either CSA or UL certified, or they may meet NFPA (National Fire Protection Association) code 86 specifications. Controllers: Powder coating ovens are equipped with digital or analog controllers. These controllers help adjust precise temperatures. Digital controllers allow control over heat. The powder curing ovens are user-friendly, and can be easily adjusted with a push of a button. As all the above-mentioned steps will help you make the appropriate selection, but ensure that you always approach an experienced powder coating furnace supplier or manufacturer. Armature Coil Equipment (ACE) is a leading distributor of powder coating ovens, since 1910. The ovens are used in powder, paint, and coatings industry.